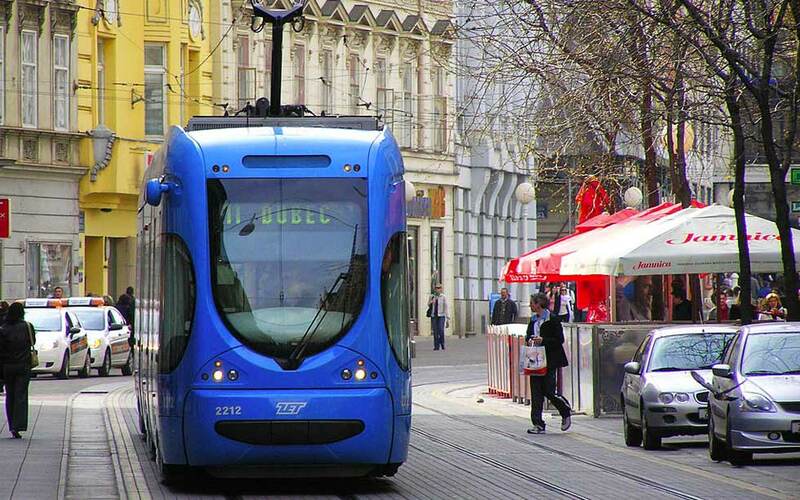 Trams are probably the fastest and most economical way to travel around Zagreb. Trams run practically everywhere, from the downtown to the wider city centre area. ZET (tram company) regularly invests in new trams and keeps them clean and safe. At least 50% of trams are low-floor trams, with no stairs at the entrances. Guide dogs for the blind are allowed into the tram. When travelling by tram, it is good to have a copy of the route map with you as not every stop has one displayed. Timetables are also not displayed at every stop so double check the times before you leave. If you are using one of the main lines, trams usually pass by every 10 minutes, so if you are really late, take one that will take you to one of the major tram lines intersections to catch a similar line (see map). The tickets can be bought in the trams or at the Tisak kiosks. Night tram lines are currently replaced by buses which run approximately every 45 minutes.